Prairie Capital Advisors, Inc., a leading corporate advisory and investment banking firm, is proud to announce Hillary Hughes as a recipient of a 2018 HER Women of Achievement Award. Hillary Hughes, Director and Shareholder of Prairie Capital Advisors, Inc.
CEDAR RAPIDS, Iowa - June 8, 2018 - PRLog -- Prairie Capital Advisors, Inc., a leading corporate advisory and investment banking firm, is proud to announce Hillary Hughes as a recipient of a 2018 HER Women of Achievement Award. HER Magazine, a publication of The Gazette, recognizes the pioneering achievements of today's women – who are forging the path for others to make their mark. The HER Women of Achievement Awards honors women leaders who have positively impacted the community by demonstrating leadership, their dedication to helping others achieve their goals, exhibiting qualities of teamwork, advocating for positive social changes and being respected at work and within the community. "We are very proud that Hillary has been recognized with this inspirational award," comments David Diehl, CEO of Prairie Capital Advisors. "Hillary is a true leader at Prairie and a significant asset to our firm." Ms. Hughes also recently received the Membership Recruitment Award to a Professional Member from the ESOP Association for her efforts in driving membership for the association. 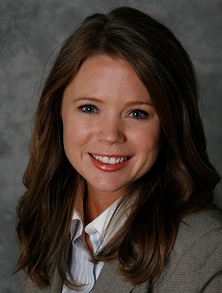 Hillary Hughes, CFA, Director and Shareholder, is a trusted advisor on ownership transition. She provides strategic insights to assist business owners and boards of directors to address long-term ownership transition goals. As a director at Prairie, she provides mentorship and guidance to her Cedar Rapid's team and is a recognized leader to her peers. Ms. Hughes has made significant contributions to the firm's strategic success by continually looking for ways to improve productivity and expand Prairie's brand. Her success is largely attributed to her enthusiasm and passion for providing value to her colleagues, clients and partners. In addition, Ms. Hughes is a frequent speaker in forums around the country on topics including valuation, ESOPs and ownership transition planning. She is a member of The ESOP Association Valuation Advisory Committee and the immediate past president of the Iowa/Nebraska Chapter. Ms. Hughes was recognized as a Top 40 Under Forty honoree by the National Association of Certified Valuators and Analysts (NACVA). Ms. Hughes is active in her community and is a member of the Linn County Conservation Board. She is also a Board member for two private companies.